Insects: Friend or Foe? Color and Learn! 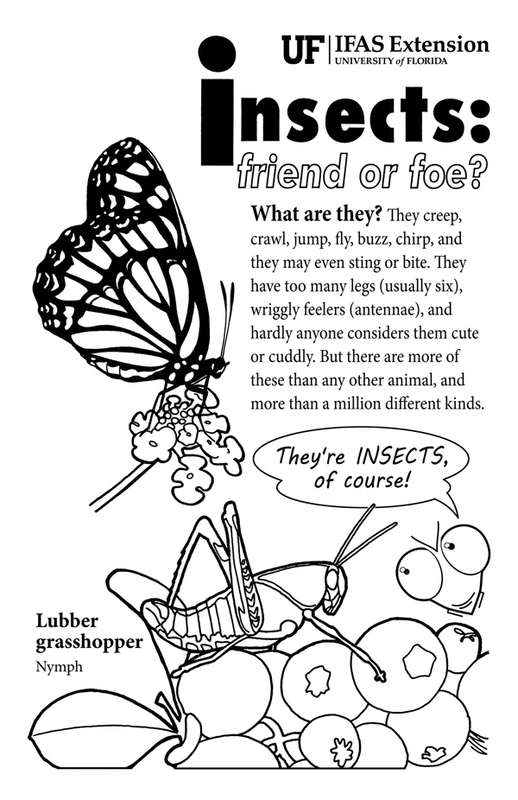 Not just a coloring book the "Insects: Friend or Foe? Color and Learn!" document can be an interactive learning experience! This educational handout is perfect for classroom use, homeschool or just a rainy (or snowy if you are not in Florida) day. This activity will help connect kids and adults with the amazing diversity of animals we have articles for in the UF/IFAS Featured Creatures database. This coloring book can be printed front to back on a standard 8.5 by 11 inch sheet of paper. 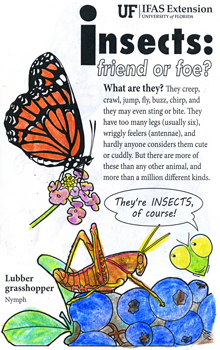 Once you have your paper and coloring tools in hand, learn more about these creatures and decide what colors to use by reading more about them below and visiting the web links for each insect. Want to learn more about an insect? Read the articles linked below for a detailed life history. We have one tricky insect, several that are pests, and others that are beneficial, and one non-insect listed that can be considered a pest or a beneficial! Can you figure out which ones are which? 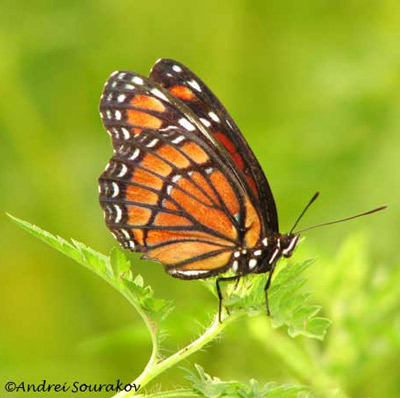 Viceroy butterfly - This tricky insect is commonly known as "viceroy" because it is similar, but smaller than a monarch butterfly. Figure 2. Ventral (showing the underside) view of the wings of an adult male viceroy, Limenitis archippus floridensis Strecker. Photograph by Andrei Sourakov, Florida Museum of Natural History. 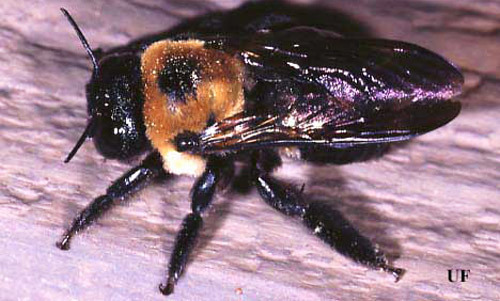 Carpenter bee - These bees get their name from their nesting habits: small carpenter bees make tunnels in stems of various bushes; large carpenter bees make holes for nests in solid wood or in stumps, logs, or even houses! Burrowing in houses makes this beneficial pollinator an occasional pest. Figure 3. Adult large carpenter bee, Xylocopa sp. Photograph by Paul M. Choate, University of Florida. Ladybird beetle - We have several different ladybird beetles, and all of them eat insects we think of as pests (like aphids) which makes them beneficial. When it gets cold ladybird beetles look for a warm place to sleep, and some species end up invading people’s homes where they become pests! Figure 4. 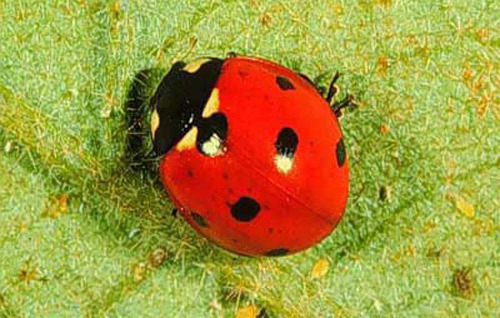 Adult Coccinella septempunctata Linnaeus, the sevenspotted lady beetle. Photograph by James Castner, University of Florida. Polyphemus moth caterpillar - These caterpillars can really hide, their green color makes it difficult for predators to find them. 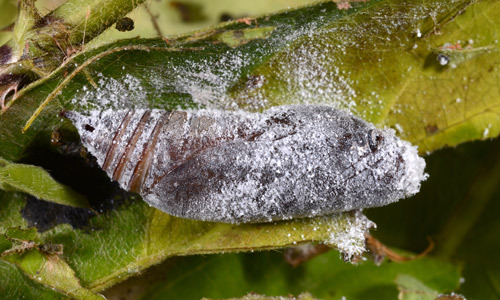 This beautiful caterpillar becomes an even more beautiful moth! Figure 5. 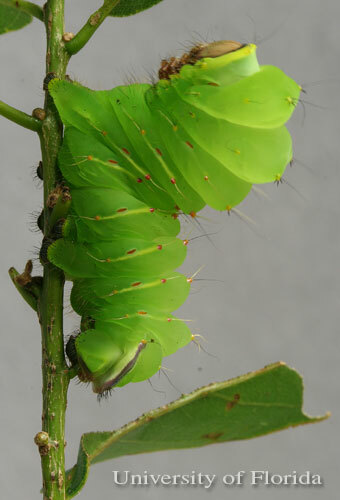 Caterpillar of polyphemus moth, Antheraea polyphemus (Cramer) displaying a characteristic “Sphinx” pose. Photograph by Donald W. Hall, University of Florida. Stink bug - We have bad stink bugs, and good stink bugs, your coloring sheet lists stink bugs as pests but the picture is really one of the good guys! It is a Florida predatory stink bug feeding on the pesky bean leafroller. Figure 6. A nymph of the predatory stink bug Euthyrhynchus floridanus (Linnaeus) attacking a bean leafroller, Urbanus proteus (Linnaeus). Photograph by University of Florida. Lubber grasshopper - These lubber grasshoppers are really big! Plus, they come in all sorts of color variations. This pest might be pretty but they can cause quite a bit of damage to your garden if you are not careful! Figure 8. Adult eastern lubber grasshopper, Romalea microptera (Beauvois), light color phase. Photograph by John Capinera, University of Florida. 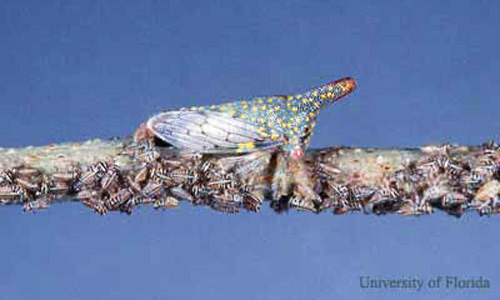 Treehopper - These little treehoppers are pests, but they do not cause lots of damage to the trees they like best- oaks. Figure 9. Adult (mottled form) female and nymphs (immatures) of the oak treehopper, Platycotis vittata (Fabricius). Photograph by Lyle J. Buss, University of Florida. Termites - We have lots of termites in Florida! They are pests when they eat things we like (like wood in our buildings and playground equipment), but they are also very beneficial. We need termites to help decompose trees when they fall in the woods! Figure 10. Castes in a Neotermes castaneus (Burmeister) colony. Learn more about castes by visiting the original article! Photograph by Rudolf H. Scheffrahn, University of Florida. Bean leafroller - This pest as an immature (seen below) becomes a beautiful skipper when it turns into an adult. 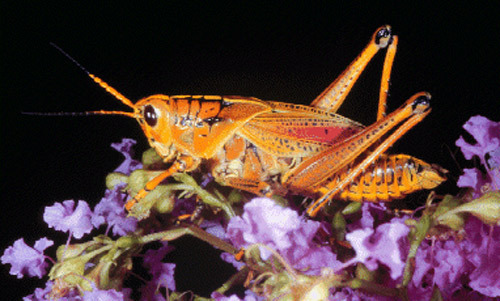 This is a common Florida pest you might have seen in your home garden as an immature or as an adult visiting flowers in your area. Figure 11. 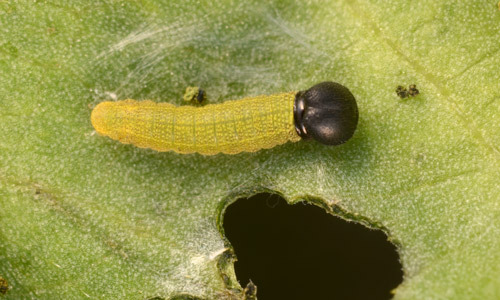 Larva of the bean leafroller, Urbanus proteus (Linnaeus). Photograph by John Capinera, University of Florida. Black widow - A common Florida spider (not a bug!!!) can be found in many different habitats. It is good because it eats insects that we think of as pests (like cockroaches), but it is considered a pest when it lives in or around people’s homes, as it can bite you if it is handled. Figure 12. 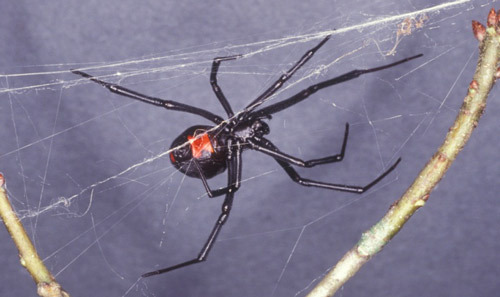 Adult female Southern black widow, Latrodectus mactans (Fabricius). Photograph by James L. Castner. Figure 13. This coloring book can be printed front to back on a standard 8.5 by 11 sheet of paper. Click here to download the PDF (1.22 MB). Coloring book by Jane Medley. Want more fun bug info? Check out the BugWeek@UF website and look for more fun BugWeek activities every May! Photographs: Andrei Sourakov, Florida Museum of Natural History; Lyle Buss, Paul M. Choate, James Castner, Donald W. Hall, John Capinera, Rudolf H. Scheffrahn, University of Florida, Entomology and Nematology Department.